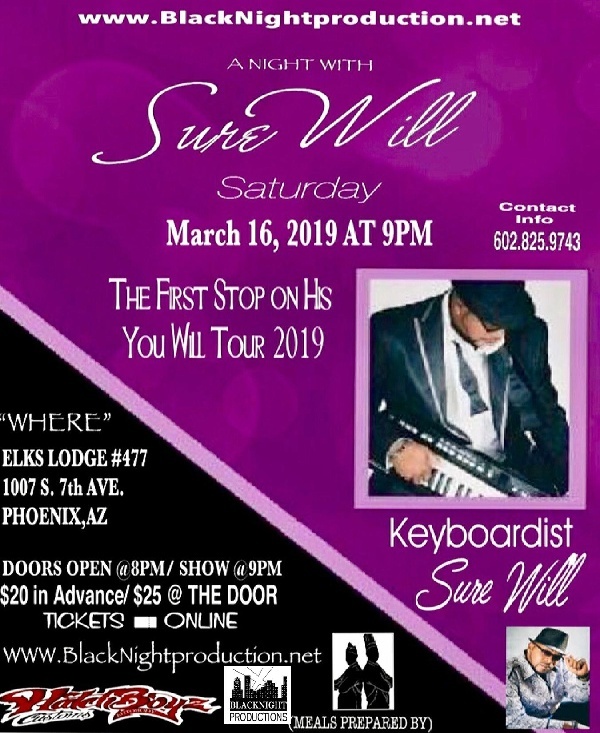 An Evening of Smooth Jazz This National Recording Artist’s saxophone style brings to mind the sultriness of Grover Washington, Jr., the soulfulness of David Sanborn, the silky smoothness of George Howard, and the tender passion of Ronnie Laws. In 2008, Tony took a leap of faith, began his solo career, traveled extensively with local backing bands he performed with and managed, and became a fixture in Denver’s famed jazz venue, Jazz@ Jacks where he continues to perform regularly. In 2010, he released his first album, “Finally.” Tony marks this release as one that catapulted him into the National scene. The next few years, the year 2011 specifically, not only grounded Tony, but molded and shaped his professional career. He began performing nationally at jazz venues like Blues Alley, Washington DC, Sedona Jazz on the Rocks Festival, JW Marriot Jazz Festival, Phoenix AZ, Yoshi’s, San Francisco, CA, and many others. This lead to the coveted award voted by over 10,000 listeners, the 2011 International Breakout Star Award by the Los Angeles based coffeetalkjazzradio.com. In 2012, Tony released his sophomore album, “The One.” He co-wrote 11 of the 14 tracks, and it was this release that further developed him as a musician and writer. He describes these rhythmic tunes as a classy mix of “urban contemporary jazz funk meets R&B. 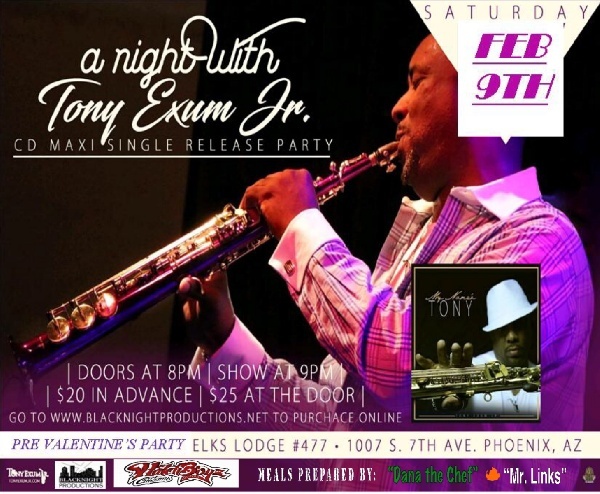 As Ronald Jackson, of thesmoothejazzride.com, says: “Tony Exum’s sophomore effort called “The One,” contains much of the vibe and groove that brought his fans to his side in the first place: A combination of danceable jams, sensuously slow and appealing R&B’ish seductions, and an even punchier delivery on other tracks, if you can imagine that!” After this release, Tony began sharing stages with the Maze featuring Frankie Beverly, Gail Johnson, Aysha, Troop, Nick Collionne, Gerald Albright, Dave Hollister, Norman Connors, Paul Taylor, Pamela Williams and Dave Koz.